Limousines come in a wide range of shapes and sizes, and are used for everything from personal use to upmarket taxis. When buying limo insurance its important to consider the following as it will help you tailor your policy to your needs, and avoid paying for features that you do not require or having assumptions made about your vehicle that are not appropriate. How many people will be driving the limo? How many passengers can fit in your limo? Will you hire your limo out? If so, how often? What is the limo worth? How far will your limo drive? Have you thought about limited mileage insurance policies? Has your limousine been modified? If so was this done professionally? 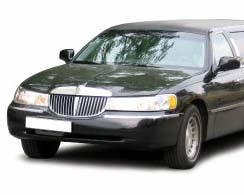 Many insurance companies offer limousine insurance and different styles of limo can be insured. Whether a Stretch Hummer, Chrysler 300, Lincoln Town Car or a convertible limousine, we can help you find a great deal to suit your needs. The panel of insurers we work with have policies which cover a variety of needs, such as personal use, cab only cover or limousine fleet insurance. Many limousine insurance policies are custom made, ensuring you have cover to suit exactly what you want. Rates are individually built. When starting your search for Limo Insurance it's well worthwhile taking time out to consider all the ways you are likely to use your Limo. If you don't, you run the risk of buying cover you don't really need or finding you are not covered for a risk that is required. Amending a policy to include extra cover later normally attracts administration charges.